New data from the National Center for Education Statistics (NCES) at the U.S. Department of Education reveals some startling discrepancies in the rates at which students from low-income families and students of color complete advanced-level math and science courses in high school. Among students who were ninth graders in 2009, less than 6 percent of African American students and 10 percent of Latino students earned high school credit in calculus by the time they graduated in 2013, according to NCES. By contrast, more than 18 percent of white students and nearly 45 percent of Asian students completed the highest level math course. Similarly, only 6 percent of students in the lowest socioeconomic status quintile completed calculus during their high school years, compared to more than 31 percent of students in the highest quintile. The findings are part of the High School Longitudinal Study of 2009 (HSLS:09) 2013 Update and High School Transcript Study: A First Look at Fall 2009 Ninth-Graders in 2013. The study tracks a nationally representative sample of public, charter, and private school students who were ninth graders in fall 2009 and focuses on students’ progression through high school and into postsecondary education and employment, particularly in science, technology, engineering, and mathematics (STEM) fields. The study surveyed students during their freshman year of high school and then again during the spring of their junior year. This most recent report includes data collected during the summer and fall of 2013, the period immediately following the cohort’s scheduled on-time graduation. High school graduation rates for the entire cohort and different subgroups of students within the cohort appear in the table below. In addition to completing calculus at lower rates, African American students in the 2009 cohort were less likely to earn high school credits in Advanced Placement (AP) and International Baccalaureate (IB) courses, according to HSLS:09. 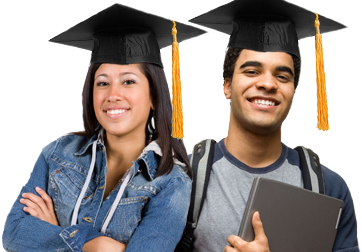 Students who complete AP and IB courses in high school often earn college credit for their work as well, giving them an advantage toward completing their college degrees. While 23 percent of African American students earned some high school credits in AP or IB courses, only about 6 percent of African American students earned those credits in AP or IB math, while less than 8 percent earned those credits in AP or IB science courses. Latino students, meanwhile, had marginally higher rates; almost 34 percent of Latino students earned AP or IB credits, with almost 12 percent earning credits in math and 10 percent earning credits in science. By comparison, 72 percent of Asian students earned AP or IB credits during high school, with nearly 46 percent earning credits in math and 40 percent earning credits in science. Meanwhile, about 40 percent of white students earned AP or IB credits, with about 16 percent earning those credits in math or science. Students from low-income families also completed AP and IB courses at lower rates, according to HSLS:09. Less than one-quarter of students in the lowest socioeconomic quintile earned AP or IB credits during high school and only about 6 percent earned those credits in either math or science. Meanwhile, 62 percent of students in the highest socioeconomic quintile earned AP or IB credits, with about 30 percent earning those credits in math or science. These discrepancies are not entirely surprising considering that high schools with the highest concentrations of students living in poverty offer fewer advanced-level math and science courses, according to a study conducted by the Center for Law and Social Policy (CLASP). The CLASP study finds that only 41 percent of high-poverty high schools offer calculus, compared to 85 percent of low-poverty high schools—those where fewer than 25 percent of students qualify for free or reduced-price lunch. Such schools also predominantly and disproportionately serve students of color. The Alliance for Excellent Education found similar trends when looking at the availability of rigorous courses in schools serving high concentrations of students of color. For example, among high schools with the highest enrollment of African American and Latino students, only 40 percent offered physics and 29 percent offered calculus, compared to 66 percent and 55 percent, respectively, of schools with the lowest enrollment of these students. Furthermore, among the 2009 student cohort, African American students were less likely to earn high school credits through dual-enrollment options, programs in which students earn high school and college credits simultaneously for a course or series of courses, according to HSLS:09. Only 5 percent of African American students and 7 percent of Latino students earned dual-enrollment credits during high school, compared to 11 percent of Asian students and nearly 12 percent of white students. Meanwhile, students in the highest socioeconomic quintile were nearly three times more likely to complete dual-enrollment courses in high school than students in the lowest socioeconomic quintile, according to HSLS:09. Although states are expanding the availability of dual-enrollment options, many state and local funding structures still require students and their families to pay all or part of the tuition costs associated with dual-enrollment courses, creating financial barriers that prevent students from low-income families and students of color from participating in such programs, according to an analysis by the Education Commission of the States (ECS). This disparity in program participation puts students with the greatest needs at a distinct disadvantage since research shows that students who participate in dual-enrollment course work are more likely to graduate from high school, enter college, and complete college in less time than peers with similar high school academic performance and demographics. High School Longitudinal Study of 2009 (HSLS:09) 2013 Update and High School Transcript Study: A First Look at Fall 2009 Ninth-Graders in 2013 is available at http://nces.ed.gov/pubsearch/pubsinfo.asp?pubid=2015037.